Payments Terms Deals Explained by Jack and Jill. Jack Butala: Payments Terms Deals Explained. 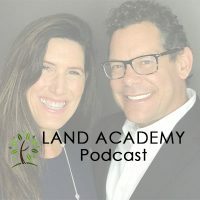 Leave us your feedback for this podcast on iTunes and get the free ebook at landacademy.com, you don’t even have to read it. Thanks for listening. Jill DeWitt: Happy Election Day. Jack Butala: Welcome to our show. 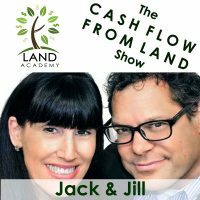 In this episode, Jill and I talk about payments, terms, those types of deals, and we’re going to explain it. Payments, terms, deals, explained. Awesome show Jill, I know you love to collect payments and so do I. Before we get into it, let’s take a question posted by one of our members on the LandAcademy.com online community. It’s free. Jill DeWitt: Yes. Collecting payments is a lot more fun than giving payments. Jack Butala: Than making payments. Jill DeWitt: Than making payments. Jack Butala: Here’s a hint at life, all you young people. Collect payments, don’t make payments. Jack Butala: Go ahead, this is kind of your area. Jill DeWitt: This happens, and it’s okay. Jack Butala: Those things are fine. Jill DeWitt: Oh my gosh, this is one of the things. Jill DeWitt: You know, and I’ve had some other members that have said, “Oh no, I just screwed up. What am I going to do with like, ah it’s the end of the world.” No it’s not. They just sent you a really nice letter saying, “Oh, oops. You need to redo this.” And you know what? Oops. Mistakes happen, and that’s why they’re there. They caught it and you need to redo it. What’s interesting is if you noticed, the recorder doesn’t stop the process there. The assessor does. The recorder’s job is to take in any document you really hand them, record it, stamp it, and hand it back kind of thing. Or they move it through the process basically. Then it got to the assessor, now they’re the ones that really do their work and they go, “All right, now let’s look at this and make sure everything’s right here. Before I flip the ownership into the new person’s name, I want to make sure it’s all right.” That’s where they caught the unit 5 and the unit 6 typo, and that’s why they politely sent it back to you saying, “Uh, oops.” Very easy. Have I had to do deeds with people? Yeah, and I’ve learned a few things. Yes, you’re going to have to have … Well, there’s two ways. Jack’s way that we do a lot of deeds now, and I’ll let Jack explain. Jill DeWitt: If you, it sounds like this was a one page deed cause it wasn’t a long legal description and the signature is right there, so if it’s that kind of situation, yeah, there’s nothing you can, you can’t cross it off and initial it. You do need to have to redo the document, and that’s not hard, and there’s no rush now. You’ve got the seller, they’ve cashed a check, everybody’s cool with everything. Jill DeWitt: Then you send it in, and you’re out. Another twenty bucks for the recording, big deal. Jack Butala: Yeah, there used to be this saying in real estate, I haven’t heard it in a long time and I’m glad. “Oh the recorder, they would record toilet paper.” That’s just not the case anymore. They won’t record anything, especially in California, they really do look at it. They’ll kick it back before it just gets into their system, so you want to do it right in the beginning anyway. Again, the huge takeaway here, I’m going to give you the real answer in a second, the huge takeaway here is mistakes happen, so what? Jack Butala: Just re-record it, it’s no big deal. What we do, and we caught on about, I don’t know, 8 or 10 years ago about how to do this, because I saw somebody else do it in the industry. You create, when you send a document, a single page deed, you make a single page deed two pages. You do all the information about the lot, and the legal description. Everything except the signature block and the notary block goes on the second page. Even if there’s a ton of space on the first page, and you can fit it all in there, we don’t do that. We just say, “Signature page is to follow.” What happens is now, you can regenerate, in this case, you can regenerate a bad legal description if you need to and slap it on that original page, if in fact you send it out before it gets recorded. That works a lot of times, and just apply a little common sense here. Before this thing goes out to the notary, have another set of eyes look at it. Jack Butala: Even if it’s your 14 year old kid, they don’t know what it is, but they know what’s different. Jill DeWitt: You’re right, you know what’s so funny? Yeah I love those too. You know what Jack, this is a good idea too. Do you remember back in the day, I can remember sitting at my little desk, oh my gosh, upstairs in my little office, I mean, it was little. I didn’t have a lot of work from there, so I remember typing this legal description that was so long, cause it had railroad names in there and all kinds of things in there that I’m literally, I was like going looney looking at it. Jack Butala: I remember that like it was yesterday. Jill DeWitt: Read it to me, verbatim, with space, comma, dash, to make sure I got that silly legal description exactly right. It was so funny. There you go. Then I still would print it out, sometimes I would do that. Sometimes I would print it out and lay them next to each other, and just make sure I got them right. It was so funny. Jack Butala: Yeah, you want to really just take a look at that stuff before, you don’t want to rush though the paperwork piece of this business. Jack Butala: It’s just going to cause lots of things. Jill doesn’t get upset about stuff too often, but one of the peeves that she has is going to fast through paperwork and things like this, then having to redo the whole thing. It takes twice as long, you have to make the same phone calls again, you could be working on a new deal, so, is it the end of the world? No, but just tread it. Jack Butala: Just take a look at it. Jill DeWitt: Anybody who works for me knows about my hang up on attention to detail. It’s especially like you just said Jack, spend an extra few minutes and make sure, but is it fixable? Heck yeah. Don’t get hung up on it. It’s okay. Jack Butala: I don’t know why this is, I’m going to get a ton of email but I’m going to say it anyway. Boys rush through stuff. Men do. Jill DeWitt: They do. Why is that? Jack Butala: Women really take their time and do it right. Jack Butala: There are not a ton of male escrow agents out there. There’s a ton of women. Jill DeWitt: I don’t know if I’ve ever spoken to a male escrow agent. Jack Butala: I don’t think I have. Jack Butala: All the way up the chain. Jill DeWitt: That’s a whole other show. Jill DeWitt: Wow, that’s very interesting. Wow. Jack Butala: You know, the heads of huge escrow companies there are women, or they can be or have been. Jill DeWitt: Interesting. I’ve met a lot of male lenders though, what’s that all about? Jack Butala: Don’t get me started on lenders. Jack Butala: Write this down, this is going to be a topic for next week. Just, why are lenders awful? Jill DeWitt: Oh, oh. All right. What’s this show about? Jack Butala: Hey if you have a question or you want to be on the show, reach out to either one of us on LandAcademy.com, today’s topic, this is the meat of the show. Payments, terms, deals, explained. Go for it, Jill. Explain it. Jill DeWitt: They’re good. No. Jack Butala: No we have a similar show this Friday, scheduled. It’s a little bit similar but I wanted to explain how it works in great detail, and I think it’s mostly because Jill and I have gotten several questions about what’s this cash flow thing? Jack Butala: It’s land. What’s cash flow for land? Well you know I think it’s because we’re talking to a lot of folks right now that are kind of new in their career, and they need to build up their acquisition funds, and we want them to get their feet wet and learn how to do transactions. We’re having them start with some smaller transactions, buy some properties, 2, 3 hundred bucks, sell them for $1,000, $1,500, whatever it is. Let’s keep doing that a few times. Do ten of those. Now you’ve got your feet wet about the whole process. Now you’re staring at 20, $30,000 of an acquisition fund, now we can start making some different decisions. That’s the why. Yes, this is a very big part of our world. The biggest part of our world. You want to get payments, that really is the big goal. You don’t want to be flipping all the time, it’s just tiring. You want residual payments coming in and you want to know you’re going to wake up tomorrow and everything’s just going to come in, you don’t have to do anything. That’s the whole point. Jill DeWitt: For the next step is, okay which properties? Jack, you’re the best at that. Can you explain for us what properties you think are the best to do terms? Jack Butala: Here’s the app to model that we operate on, and I’m finding now that some of our members who have been with us for a while, it works really well for them too. You take larger acreage properties. I’ll give you an example, maybe a 40 acre to 160 acre, maybe even a 320 acre property that you’re buying for $100 or less out west here. $100 an acre or less, so a 40 is 4,000, an 80 is 8, a 320 is 32,000, and you double your money on it. You sell it for cash. On a 40, you sell it for 8 or 12 or 16, and you get the picture. It’s like Jill said, so now you’ve done 4 or 5 or 8 or 10 of these deals, you know you’ve got some money in the bank. 30 to 50,000 bucks, maybe more. Then you take that money and you go buy a bunch of 5 acre properties, or 10 acre properties, for $500 or 1,000 bucks each. You’ve long made up for your initial investment, this is all while you still have a job. You’re still working at your regular job, but you take those properties, you sell them for $100 down and $100 a month. There’s a lot. There’s a lot to buy. If you have $30,000 that you’ve generated from cash sales, you can go buy 60 properties at 500 bucks each. If you turn all of those 60 properties into a $100 revenue stream per month, that’s 6 grand. You’re well on your way. Like Jill always says, you know, let’s just. I’m mister big picture, she’s like, “Yeah, let’s do one deal at a time here.” First month’s 100 bucks, second month $200 and pretty soon, five years, you’ve got a $10,000 a month income stream. I’m here to tell you, if you can’t live off of 10,000 bucks a month, there’s a different radio show for you. Jill DeWitt: I think you could be just okay with that. Let’s think about this, since you’re not doing anything too, by the way. That just, Jack covered which ones and we covered on when in your career, then the last thing is really how to do it. The properties that we really work with are, for payments, our goal is you don’t have to put the deed in someone’s name, it’s kind of a contract. You’re just seller financing and you want to charge a percentage, an APR. We hadn’t talked about that. Jack’s the pro at this so I’m going to let Jack take that. Jack Butala: Well, I mean this is a little bit sort of off topic and it gets complicated so I don’t want to make it sound way more complicated than it is. Once you just do it once, you get it. There’s two ways to sell property on terms. A land contract, which is exactly what it is. It’s a contract between two people. Or a deeded trust. They’re called all kinds of different stuff all over the country. Every time I talk about this I get an email. “Oh, it’s called this over here. It’s called this over.” Okay. There’s two basic concepts. One gets recorded, it’s when the deal gets done. Right when the deal gets signed, it gets recorded with an escrow agent and they kind of take it from there. They take a little bit of the money every month that gets, they manage the whole thing for you. Jack Butala: Whatever state you’re looking to do this in, please research it before you do it. Some states are real simple, some states not so simple. Jack Butala: There are very detailed persons, people, in our group, in everywhere that love the not simple. It keeps all the competition out. Jack Butala: The whole thing, so. Jill DeWitt: They seek it out. It’s awesome. Jack Butala: Easier is not better, most of the time. Jill DeWitt: I’m going to figure it out, and I know that half the people or more than half the people will not figure this out, yay. I win. Jack Butala: We have a member who’s really really good at maps, so he specifically seeks out counties that are so rural and so kind of behind the times that they don’t have a GIS or any IT solution. He does great. No one’s ever done anything. Jill DeWitt: No one’s ever figured it out. Jack Butala: He buys tons and tons of property there, cause it’s where he lives, and he can just go in and look at the maps on the wall and stuff. Jack Butala: Take pictures, literally, takes pictures of plaid maps. Jack Butala: I think it is too. Jill DeWitt: We use it every day to buy property, and vote, for what it’s worth. Jill DeWitt: And sell it immediately. Jack Butala: It’s vote day. Jill DeWitt: It is. You’re not alone in your voting, or real estate ambition. You’re not alone in this presidential nuttiness ambitions. Jack Butala: Yes, in fact we’re all in this together. Jill DeWitt: We are. This is now the after show. Jack Butala: In our politics ambition. Jill DeWitt: Oh my goodness. Boy was that, what was that poll we saw over the weekend? They were ranking this election over all the last several elections and just how off track it’s got. Jill DeWitt: It was like something like 70% of the people all said that this is the craziest we’ve ever seen it. Jack Butala: Yes. Either side, I don’t care. Jack Butala: I don’t care which side you’re on. Everyone, I have noticed that. No matter who I speak about with this, I don’t care which side they’re on and I do not have a side for the record. Jack Butala: It’s just, we all agree. It’s kooks. Jill DeWitt: It bums me out that it works this way. When you’re playing a sport, and you’re playing a team that’s better than you, often you guys, you rally and you rise up to their level. This is great. What’s frustrating is you can also dumb down to different levels. It’s kind of like, ugh, it’s got a little crazy. Jill DeWitt: Today is the day. I’m excited it’s going to be over. Jack Butala: I’m excited it’s going to be over. Jack Butala: That’s just super good news. Jack Butala: There’s so much negative hate, come on. Jack Butala: Information and inspiration, to buy undervalued property. Let’s go buy some.